Photo greetings easier and more versatile - Ashampoo Photo Card 2 makes it possible. 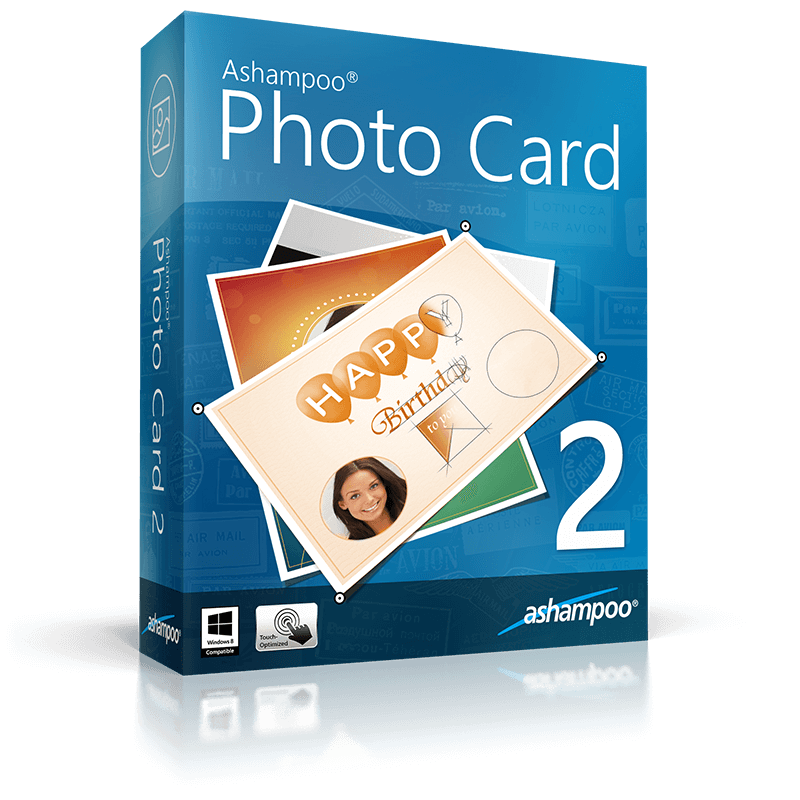 Ashampoo Photo Card 2 turns your photos into elegant greeting cards, fast and easy. Show your loved ones you care and send your own very personal greetings. Select photo or take a webcam snapshot, choose a template, edit text, send. It's the quickest way possible. Christmas, wedding or birthday, Ashampoo Photo Card 2 comes with numerous thematic templates for every occasion. Combine that with the integrated clipart library and you get nearly unlimited design combinations. Adjust size, brightness, contrast or color saturation settings directly from within the application, no extra tools required. You can also mirror, flip and correct the perspective of your photos. In a hurry? Use 1-click image optimization to bring your photos into shape. Send your cards through email or upload them directly to Ashampoo Web, Facebook or Picasa. Save and print your cards and surprise your loved ones with a classic paper greeting card. 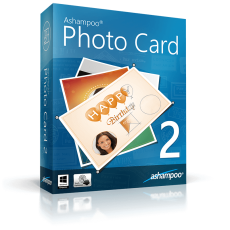 Ashampoo Photo Card 2 is ideal for the creation of personalized greeting cards. Thanks to its simple handling, even inexperienced users will get beautiful results fast.